Registering 18 new vehicles since January, Apple has expanded its self-driving car programme rapidly and now has 45 autonomous vehicles registered with California's Department of Motor Vehicles. The company had 27 self-driving cars until late January. Behind Apple is Tesla which currently has 39 self-driving vehicles, and Uber which has 29 cars. "Apple has nearly doubled the number of self-driving cars in its California test fleet. The number of cars is more than companies like Google, Waymo, and Uber have and is second only to General Motors which performs tests with Cruise -- its self-driving division," the Financial Times reported late on Tuesday. 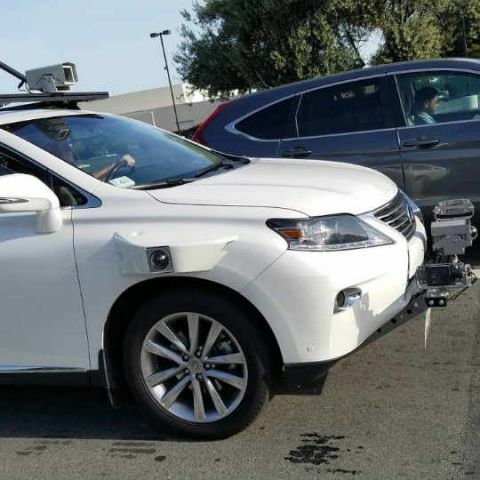 Codenamed "Project Titan", Apple's self-driving programme's fleet is reportedly made up of Lexus RX450h SUVs each of which is fitted with huge racks of LIDAR and radar sensors as well as cameras. "The Cupertino-headquartered company is expected to produce a platform for ride-hailing services, most likely in partnership with third parties," according to Apple Insider. "Alternately, it could revert to designing its own electric vehicle but the company would need to contract with outside factories to build it," the report added. Which are the best earphones to wear while driving?